I am extremely pleased to announce that I was accepted into this Viable Paradise writing workshop. 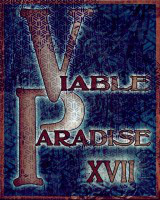 Viable Paradise is a week-long intensive workshop with professional writers and editors in the science fiction and fantasy fields. 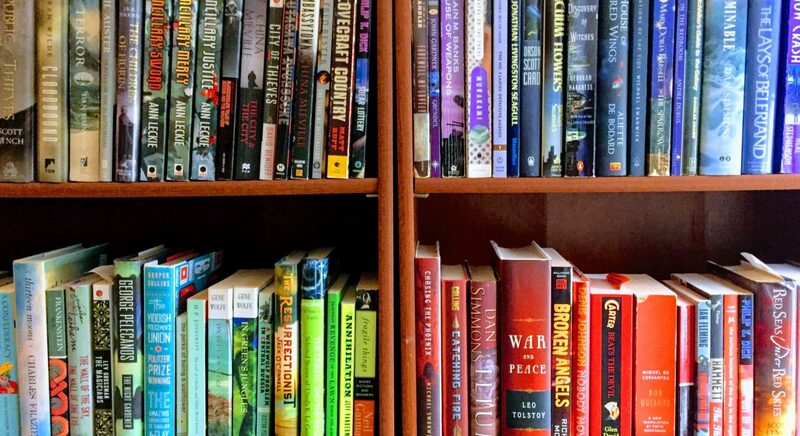 It’s geared towards writers who are on the cusp of publication, people who might have sold a piece or two here or there but are having difficulty crossing the threshold into regular sales. People like me! The workshop is held on Martha’s Vineyard in October. This year’s VP class, VP XVII (or VP 17, depending on who you ask), consists of me and 23 other writers along with the 8 instructors. My fellow students and I are getting excited, partnering up with roommates, buying our plane and bus tickets, and generally whipping ourselves into a crazed frenzy of anticipation. There are so many great things about this workshop! It’s on Martha’s Vineyard, for one thing! The instructors are an incredibly talented bunch of award winners and top pros in the field, all of whom are not just great writers and editors, but also great teachers. Best of all, I get to spend a week in the company of like-minded individuals, all of us with a laser-sharp focus on honing our craft. I am extra-specially excited because this is the third year I’ve applied for VP, having been rejected in my two prior applications. VP only admits 24 students per year, and admission criteria is based upon the quality of a submitted short story or novel excerpt. It’s not first-come, first-serve. You get in on blood, sweat, and determination. The first year I applied, I submitted some rather rough early chapters from a novel-in-progress, so I was not surprised when I didn’t make the cut. Last year, however, I submitted a story I felt was very strong. I was (over)confident that I would be accepted into the workshop. And I was not shy about telling EVERYONE ON EARTH about this workshop for which I had applied. Well, when the news came that I had not been accepted, I was devastated. Worst than the rejection was the embarrassment I felt, having convinced myself that there was no conceivable way the instructors could decide not to let me into the workshop. It took me a long time to work my way through that, but I did it partly by writing a story about the experience of what it feels like to learn that you’re not as good at something as you thought you were. That story is called “White Bone Spirit,” and it was the story that I submitted with my application this year. This, ironically, was the story that got me accepted into the workshop. So now the waiting game begins. I won’t be touching “White Bone Spirit” between then and now, but that’s okay. I’ve got lots of other stories to work on. In the meantime, I’m really enjoying getting to know my fellow classmates and VP-ers from previous years in our Yahoo Group and on Twitter. I want to call out an extra special thanks to those who have really helped me to push myself and improve my writing throughout the last year: my wife, Lauren Hines; the members of my online writing group, the Dissemblers: Evan Dicken, C. Liddle, Nathan McKnight, David Milstein (former VP-er), Lisa Taylor, and Matthew Flood; and also my DC-based writing group, the Speculative Wordsmiths: Kene Ezmeniari, Peter Sursi (former VP-er), Dave Milstein (again), Carl Duzett, Debbie Tang, Dexter Gabriel, Charlotte Malerich, Alex Rivadeneira, Jennifer Simmons, and John MacDonald; as well as Hannah Durocher, Rachel Swirsky, and James Gunn. Thank you all for your feedback and patience. And for not thinking me too much of a jerk. WHOO-HOO!!! I love the excitement and enthusiasm! Congrats!!! I’m soooo excited for you. Can’t wait to hear about it when you return! Congrats, Shannon! I am so proud of you and happy for you in this amazing achievement. This is a year of great achievements for both you and Lauren. Enjoy the journey! I’m looking forward to meeting and working with you, Shannon! And a big congratulations. I know exactly how excited you are because I am in the same spot. And I’m glad you stuck out the VP entry process until you made it. Thanks John. Looking forward to meeting you and all of the other attendees as well! I’m thrilled not only to work with such talented instructors but also to make new friends and work with awesome people who are at a similar stage in their writing to me. Congrats Shannon, and I look forward to meeting you–in 3 months!